Aftermath 2017 (12): Has the Caucasus lost their Eurovision mojo? In these weeks, we take a look at the aftermath of the Eurovision Song Contest 2017. In this episode we talk about the countries on the Caucasus and what went wrong for them. Since neither Armenia, Azerbaijan, nor Georgia reached the top 10 this year. It is a busy week for artistic director Sacha Jean-Baptiste. 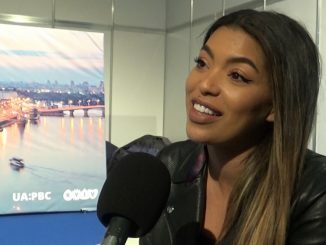 This year she has done the staging for four countries at the Eurovision Song Contest: Australia, Armenia, Bulgaria and Georgia. We talked to her about the plans for these nations. The last three winners of Eurovision only got to the contest, after losing in a previous national final first. This year, many artists with a similar track record will try to follow in their footsteps. In this episode we highlight Tako from Georgia. Georgia has selected “Keep The Faith” as their Eurovision song for 2017. Tako Gachechiladze won an extensive Georgian national final on Friday night, and will therefore gain the right to perform her song in Kiev. 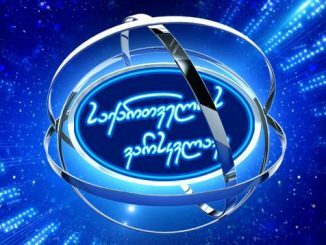 Georgia’s broadcaster GPB has published the list of 26 entries that are shortlisted to take part in their national selection for the Eurovision Song Contest 2017. The 26 names might still be narrowed down to a tighter field for the national final.